SAGE Showcase is a unique traveling tradeshow through Texas for professionals in the promotional products industry. Showcase provides suppliers and multiline reps the exposure you need, at a price you can afford. 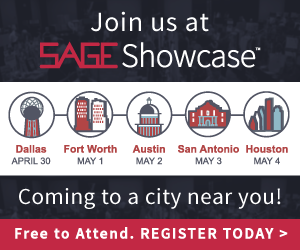 SAGE Showcase travels to Texas' top cities including Dallas, Fort Worth, Austin, San Antonio, and Houston. 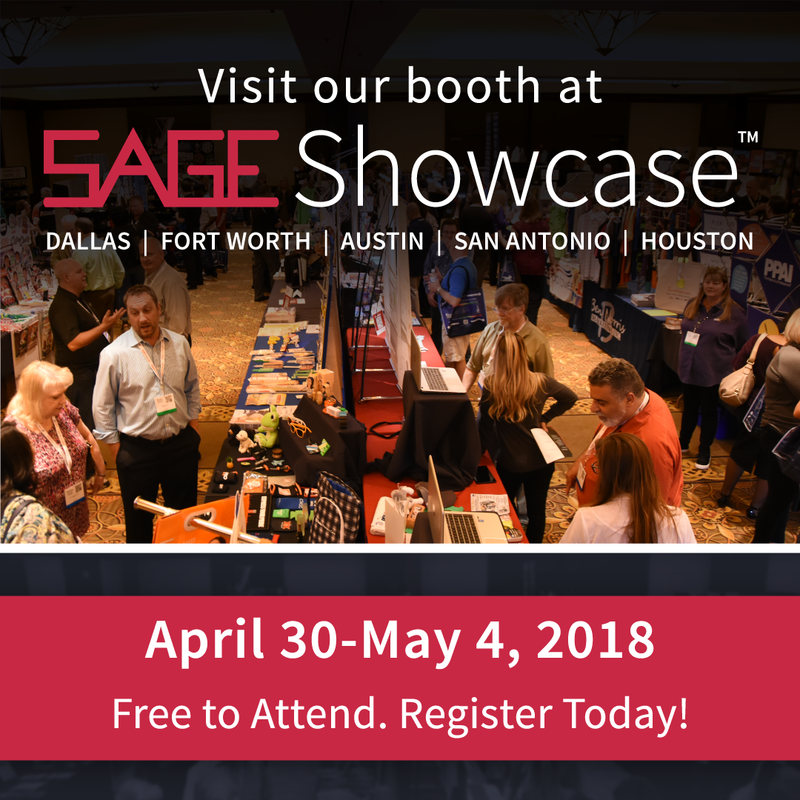 Unlike the big national shows, SAGE Showcase gives exhibitors the opportunity to spend time with each distributor to learn about their needs, exchange ideas about particular promotions, and build business relationships. SAGE Showcase is a show you can’t afford to miss! Make Connections. Exchange Ideas. Build Relationships. 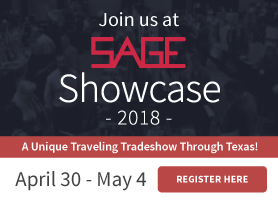 Let SAGE Showcase take the hassle out of getting you and your materials from city to city during the show week. When each show day is over, just leave your materials and let SAGE Showcase Bus Service get you to the next city along with your show material. Jump aboard the SAGE Showcase bus and leave the driving up to us. How could it be any easier? 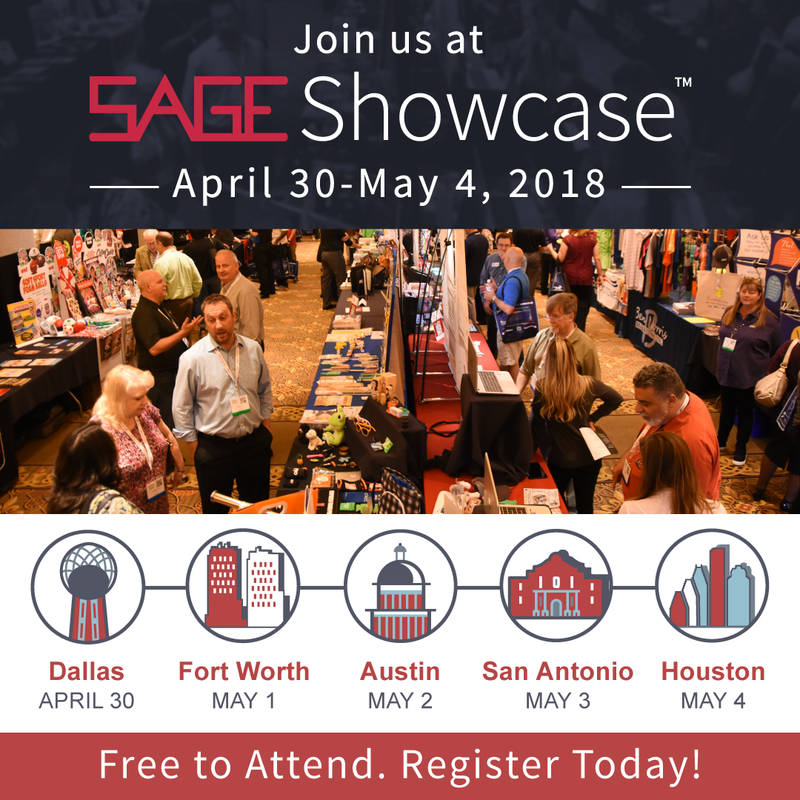 SAGE Showcase takes the hassle out of getting your show materials from city to city during the show week. At the end of each show, just leave your show materials and SAGE Showcase will transport your materials and have them waiting for you in the next city. It doesn’t get much easier than that! 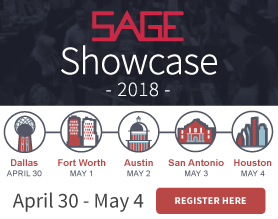 Broaden your competitive advantage, increase your brand recognition, and boost sales by becoming a SAGE Showcase sponsor! To view a list of the available options, click on the link below or give us a call at 800.925.7243 and we can create a sponsorship package tailored to your company's needs. 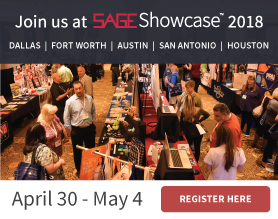 What’s the best way to let distributors know you’ll be bringing your newest products to SAGE Showcase 2019? Tell them! Then tell them again with email flyers, ads on your website, social media posts and more! Free promotions like these are highly effective and improve your tradeshow ROI. Make sure to include a link to www.sageshowcase.com, so distributors will know where to register. 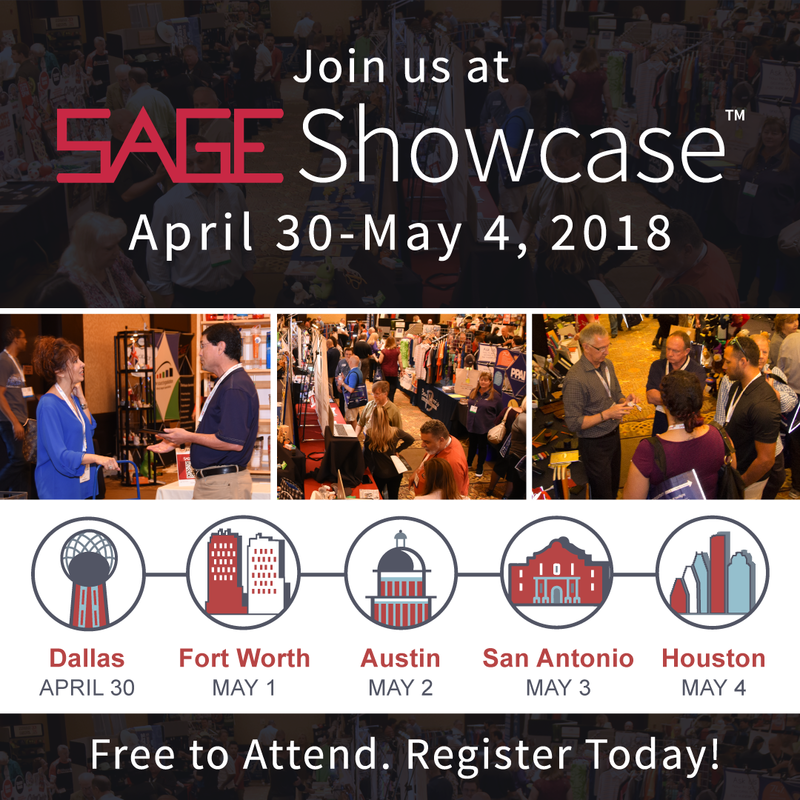 We are glad that you've chosen to exhibit at SAGE Showcase! If you are a multiline rep click here. All other exhibitors click here. Email, mail or fax the application with your credit card information (instructions are on the application).